Back at the end of April I ran my first half marathon. I signed up for it in October 2013 and the time finally came on an overcast Sunday morning at 9 to start the race. When I woke up that morning I was slightly nervous, yet excited and ready to go. Throughout my training the one thought I've had was, no matter what happens or what time I complete it in, I know I can do it. As the klaxon sounded and the crowd started to move I hit play on my iPod and set off. The first couple of miles were nice, settling into a pace and enjoying the experience. Miles 5-9 were good, my pace was steady and I felt confident. Although hilly in some parts of this section, overall it was a nice part of the course. The hardest part started to begin for me around miles 10-12. I never hit "the wall" at any point but it definitely got tougher in this section of the race. You know the finish line is approaching but it's not coming as quickly as you hoped. After I reached the 12 mile marker I knew I was coming to the end. I was excited for the fact I had nearly completed the race but knew I still hadn't reached the end just yet. The final climb to the finish was actually up a hill, something I was prepared for but not something I was particularly looking forward to running up after 12 miles. As the hill evened out and I turned the corner to run the final 200 or so metres, I sprinted. With the crowds surrounding the final leg and the finish line finally in sight I couldn't not set off into a sprint. As I looked up at the time I was greeted with mixed emotions. I had run the race slightly slower that I wanted to, but it has given me a great place to start and a time to beat on my next half marathon. I've always loved running but this year I've definitely caught the running bug. Two weeks after I ran my half marathon I ran the We Own The Night 10k. I'm hoping to get one more organised run in before the year is up (plenty of time) but if not I've already got an ever growing list of events that I really want to go for next year. This includes two half marathons, two 10ks and a potential duathlon. A full marathon is something that I've always wanted to do since I was young but I'm not sure if the 26.2 miles is something I'm 100% ready for just yet. 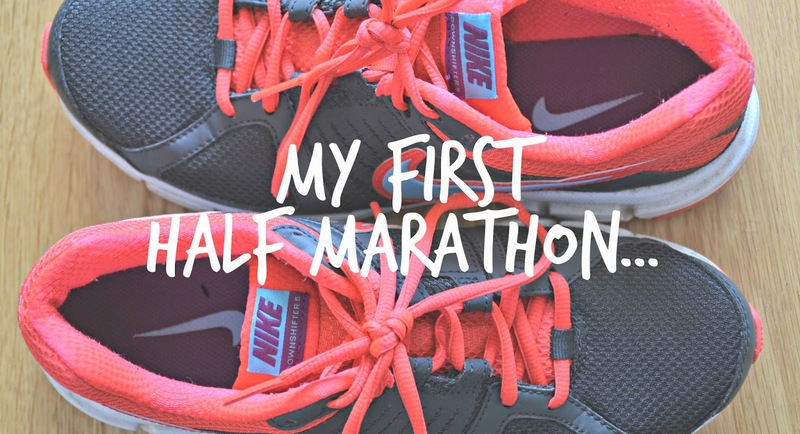 I'd love to know if you've have any race experiences whether it's a 5k, 10k, half marathon, full marathon or even more. Let me know or tweet me @afloralcrown!